"Beware! You are trespassing and barging into the Jurassic world of Dinosaurs!" The online Dinosaur games recommend here are carefully handpicked, tried & tested by me and my son (Pratham) and then given a BIG Thumbs Up! So you can be rest assured that these are the best Dinosaur animal games for kids that one can find on the net. So what are you waiting for? The prehistoric lost world awaits you! Game Learning: Unique Dinosaur history, fine motor skills & concentration. 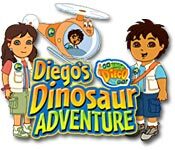 This online Dinosaur animal game for kids revolves around two popular Nickelodeon characters: Diego & Alicia. The game instructions are descriptive and easy to understand for the kids. 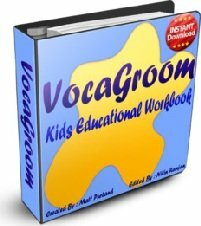 Moreover, everything is verbal, so smaller kids won’t require parental help to understand them. Both the central characters i.e. Diego and Alicia randomly use Spanish accent, which sounds cute! The game has two difficulty levels, Normal and Expert. Kids can take pictures after successful completion of a stage and collect them in their Dino book. The kids have to play along with 5 different species of Dinosaurs, each having its own set of unique features. The games are fun, simple and easy to control. A cool and safe online Dinosaur animal game for kids, especially the little ones, but not much there for grownups. The graphics of this animal game for kids are clear and very simple. Game Learning: Different Dinosaur species, fine motor skills & concentration. The kids have to play through 5 different mini games to find the complete set of Dino bones required to complete a Dinosaur skeleton. After completing the Dinosaur kids can color it with their favorite colors. Graphics are clear and very simple. Game Learning: Pattern matching, Puzzle solving & concentration. This Dinosaur animal games for kids has 3 levels of difficulty. Easy, Normal and Hard. This is a basically a Pattern Matching game. 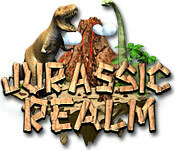 The graphics of the game gives a feel of prehistoric Jurassic era depicting a mysterious island surrounded by various Dinosaurs. Each level has some unique power ups and new challenges. This animal games for kids has 2 modes i.e. Quest mode & Arcade mode. The kids have to play through the Quest mode first in order to unlock the Arcade mode. Ultimate aim is to blast through various levels and find the picture of T-Rex. 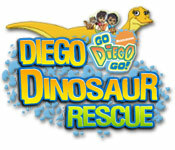 Overall a smart and clean Dinosaur animal game for kids having nice graphics and soothing music. Game Learning: Visual matching, Puzzle solving & Logical thinking. This Dinosaur animal games for kids is basically a hidden object puzzle game. The story line of the game revolves around Sarah Maribu, who, along with her husband Michael, goes to explore a mystery island which is inhabited by Dinosaurs and ancient natives. Michael goes missing and Sarah has to find him by taking help of clues, solving puzzles & finding hidden objects. A total of 25 levels with a variety of mini-games. 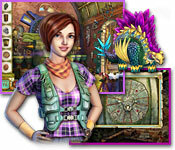 At every level Sarah gets a new location where she has to hunt for the hidden objects given on the “Find List”. Special tools and clues are scattered around in every level to help her find her way out. The graphics for this animal game for kids are very beautiful and detailed but the music can be distracting at times. The game is set in prehistoric Jurassic environment with Dinosaurs moving around the places. Overall a Clean, Violence free and smart Dinosaur animal games for kids. Help and strategies are available online. Have you enjoyed these Dinosaur animal games for kids? Want to rate it on the scale of 5 (Stars) or have some cool tip about the game-play that you want to share with others? Maybe you would like to write your own Review or just leave a simple Comment & Suggestion. Well, this is the place to do your bit & in the process presenting your valuable contribution towards building a great community of like minded folks on your favorite website.